Most seniors would rather make their homes safer and age in place, than move to senior housing or an assisted living facility. As life expectancies continue to increase throughout the world, Senior populations have risen accordingly. Seniors today are not only living longer, but also healthier and more active than ever before. Along with these demographic changes, there has come a growing interest in the concept of aging in place. At this point, we should pose the question: are Canadian homes suitable for senior friendly living? In a perfect world, a senior should live in a single-story home, with no raised entrance. But of course, that isn't the case for everyone. Understanding that Canadian homes come in all shapes and sizes, here are some tips on how to make your home safer and more comfortable for you or your loved ones as they age. Most seniors live at home and want their needs met there. As they start to lose mobility as their health deteriorates, many require constant care such as meals and housekeeping, help with shopping and errands, transportation to activities, services and appointments. Home care services however, are not universally covered by health care or insurance. The average cost of weekly home care services for seniors ranges between $134 and $412 across health regions. According to a study done by the Federation of Canadian Municipalities in 2014 just over one in four Canadian seniors ages 75 or older (27%) relied on home care services, compared to about one in eight (13%) younger seniors. Seniors rely on volunteers, spouses, neighbours, grandchildren or friends. Without this support, a senior living alone may have no choice but to enter a care facility. A Special Senate Committee on Aging report outlined current barriers to aging in place, including the cost of retrofitting seniors’ homes to install features such as grab bars and stairlifts. The best way of looking at aging in place is to consider that all housing providers are, in a sense, providing housing for seniors. Any housing should be adaptable as its residents age. Design features, such as stairlifts, that facilitate aging in place can be incorporated into the original design plans of a project. They can be a selling feature: even if some current buyers do not plan to live in the unit over the long term, they will be interested in any features that could add to the resale value. Stannah has put in a lot of work into understanding the aging process and the essentials for creating senior-friendly spaces and devices. So, they are happy to provide you with some home safety advice to ensure that your home is as safe and comfortable as possible. Remove electrical or telephone cords from high traffic areas. Use only non-glare 100 watt or greater incandescent bulbs. Make sure that all stair cases have good lighting with switches at the top and bottom. Have sturdy rails for all stairs inside and outside the house, or consider purchasing a stairlift. Properly place grab bars in your tub and shower, and next to the toilet, to help avoid falls. Avoid wearing long, loose clothing when cooking over the stove. Much of this advice is easy to forget, especially when we're busy with our daily-routines. Nevertheless, we can't talk enough about our safety or the safety of our loved ones, regardless of whether they live in a house or in a residential building. Just like anyone else, seniors have a strong sense of purpose and passion about their lives and shouldn't have to worry about the future. While research shows that more than half of seniors are very confident in their ability to stay in their current homes for the next five to ten years, getting older is not an easy process. For many, by the end of the day, coping with physical pain and dependency can be very frustrating and may affect seniors psychologically. 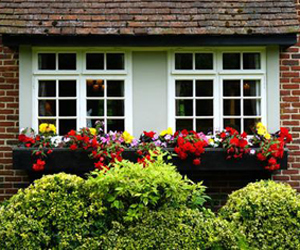 One in five seniors have already made significant home modifications to help them age in place. In fact, making a few simple changes can be significantly cheaper than moving to another home. Apart from the cost, people simply love their homes and have friends and family nearby. Once these factors have been considered, it's often stairs that seem to be the primary concern when evaluating senior home safety. As we age, arthritis, knee or back pain may be factors in making stair climbing more difficult. For older people living on more than one level, stairs can be especially dangerous. Some of the most incapacitating injuries, like hip or leg fractures, are the result of falling down the stairs. So, it is vital that stairs are as safe as possible. 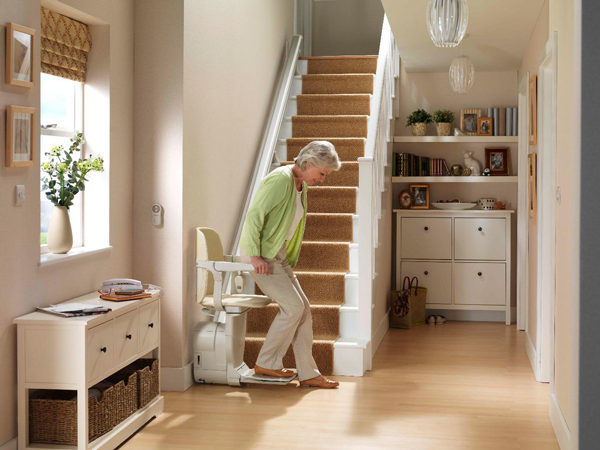 To reduce the risk of falling down the stairs it is extremely important to make home modifications like installing grab bars, securing loose carpets or even installing a stairlift for the staircase. Families deserve to know their loved ones are safe, secure and have the freedom to move about their entire home with complete independence. In fact, preventive planning, more than merely a reaction to a fall, has been the main reason why people consider purchasing a stairlift. There is much more awareness today than even five or ten years ago. 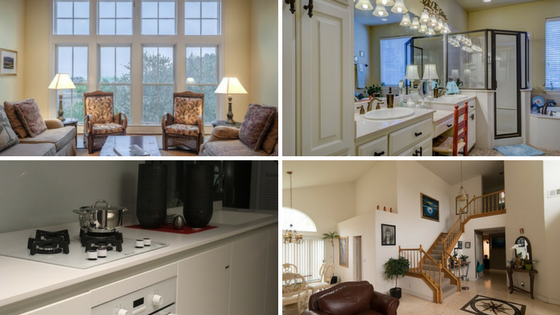 Aging in place has become a huge trend in the US and seniors are really committed to staying in their homes. Moreover, your home is where you raised a family. A place full of happy memories. It's where you belong. “So, we went over to this gentleman's house to put the lift in. Once everything was all set up, we showed him how to use his stairlift and he took his first ride. Come to find out, he hadn't been upstairs in five years! The man was so happy and overcome with emotion, that he started crying and hugged us both. It turned out to be a really great day. Moments like that are exactly why I love this job!" Stannah gives you the security and independence to age in place in comfort and safety. Although each stairlift installation presents a different challenge, it's all worth it once we see the elderly smile. Note:The article above has been provided by Stannah Stairlifts. While I don't recommend any specific products I've posted this article because it has some valuable information that may be of use to our visitors. Stannah Stairlifts has provided this article without charge and has not been charged any type of fee or advertising charge for my posting it.